This page presents small series products, designed by Ella Varvio. Both her artwork and designs are inspired my visual qualities of glass and playful combinations of image and form. All the items on are produced in Finland. If you’re interested of the products, please contact ella.varvio(at)gmail.com for further information. 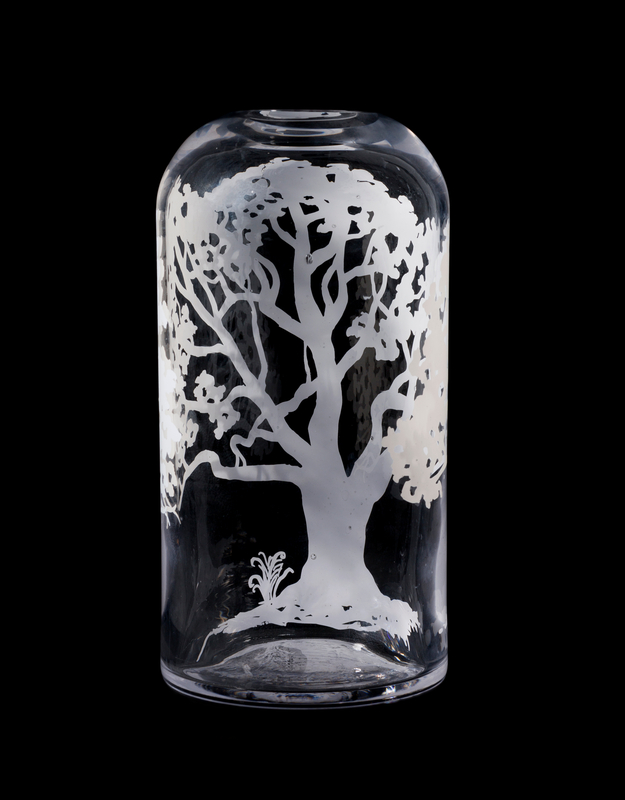 Nemeton refers to a sacred forest, and the vases are made of mouthblown clear glass with prints of different tree silhouettes. A vase is a beautiful home decor item as such but collection of Nemetons forms up an illusion of a forest. 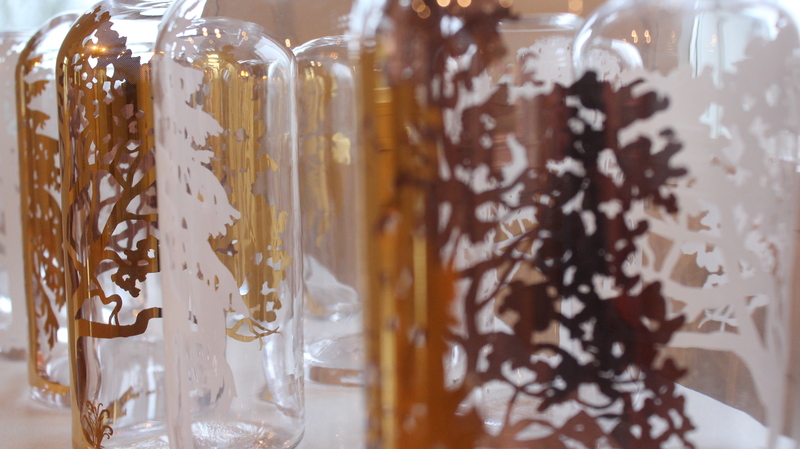 Simasuu is a co-operation with a glass studio that uses recycled glass. The colour of each glass varies according to the glass batch that they’re melting. 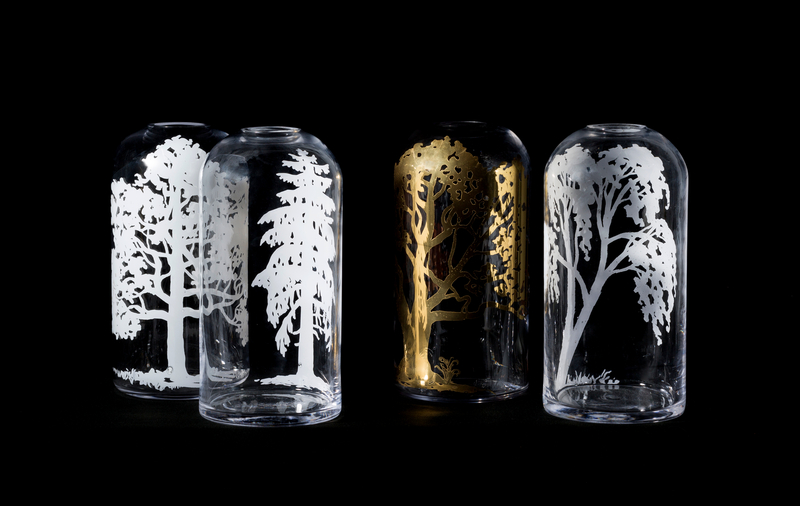 This glass was a proposal for Finland 100 years design competition by the Finnish Glass Museum. The brief was to design a memorabilia item that could be serially producible. Faceted tumbler received an honorary award in the competition. Ceramic cups, stoneware with comic art style decals. Decals both in blue and black, height of each cup appr. 7 cm. Glass tumbler with playful wave pattern.